Steven has written and contributed to a number of publications in Hong Kong, Canada and internationally. He is a past member of the Hong Kong Inland Revenue Department Board of Review, and has been a part-time instructor in tax and revenue law at the Hong Kong University and City University of Hong Kong. 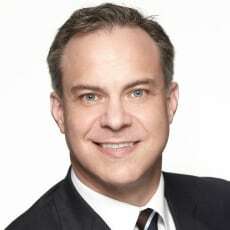 He is a member of the Society of Trust and Estate Practitioners (STEP), and is a former executive director of STEP and the Canadian Chamber of Commerce in Hong Kong. Steven is the chairman of the Revenue Committee of the Law Society of Hong Kong and a member of the Joint Liaison Committee on Taxation. He is also a former clerk to the Supreme Court of Canada. Steven’s practice focuses on Hong Kong and Asian regional tax advisory work, estate planning and tax litigation. He frequently represents clients in tax disputes with the Inland Revenue Department in Hong Kong. Steven is ranked as a leading individual for tax in Hong Kong by Chambers Asia, Citywealth Leaders List, Guide to the World’s Leading Tax Advisers, Benchmark Asia-Pacific and Who’s Who Legal. Steven heads the tax group of Baker McKenzie in the Asia-Pacific region.